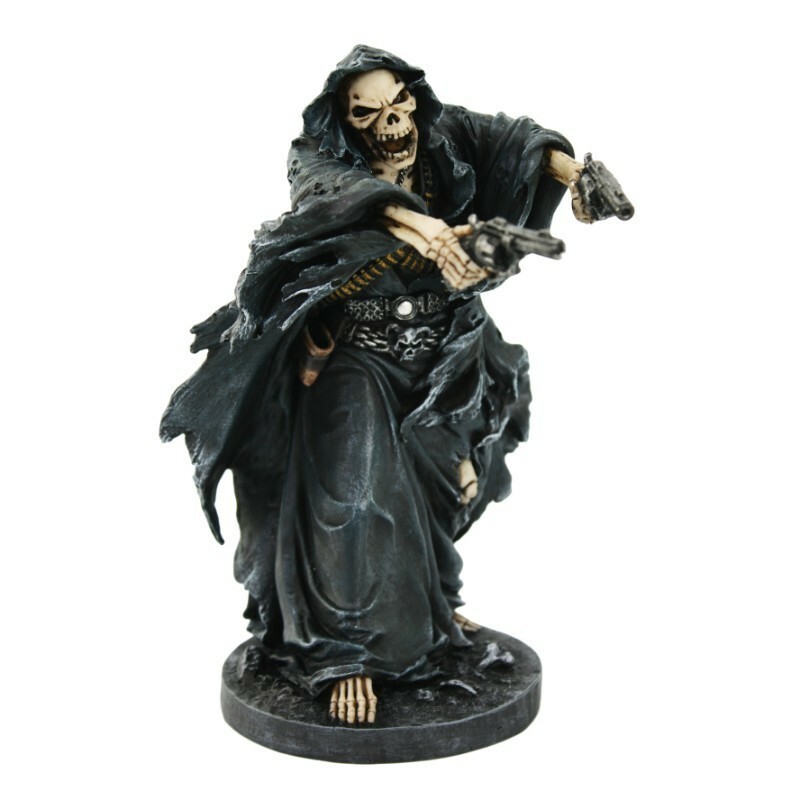 A fearsome stance in a tattered, black cloak, clutching revolvers in his skeletal hands, and his skeletal feet protruding beyond the drape of his hooded cloak, this grim reaper statue makes you take notice. This is an animated depiction with bullets strewn across his body like Rambo and a scowl of an expression as he charges forward. Dimensions: 5 3/4" x 5 1/2" x 9 1/2"